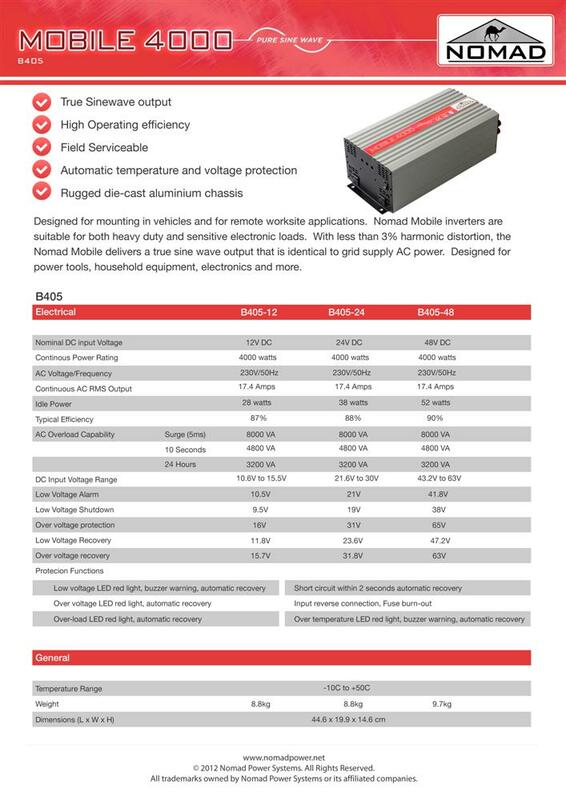 NOMAD MOBILE inverter units are designed for motorhomes and mobile worksites. We supply NOMAD units to the New Zealand Navy (defence force supplier id NZ008725), Solar and Wind Powered homes, Fisher and Paykel, Coast Guard (proud sponsors of the Maretai unit), marine fleets and a number of manufacturers where they get fitted into work and pleasure vehicles. 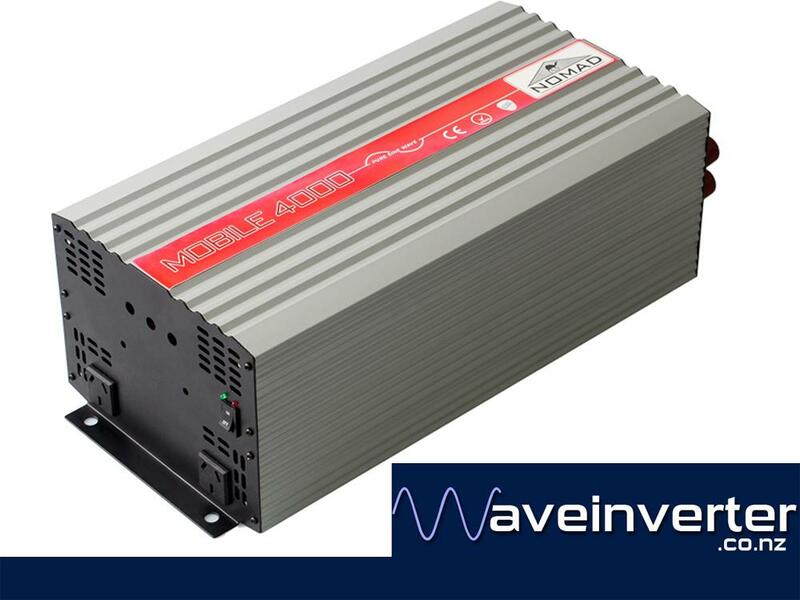 Standard unit is 12V If you would like input 24V or 48V please let us know.